Creationists reject Darwin's theory of evolution. Gavin Esler talks to a leading member of the Creationist movement about his views on evolution and why he believes Charles Darwin's theories are wrong. Creationism is the belief that God created man as outlined in the Bible. However, mainstream scientists regard the world as four billion years old and view Creationism as unscientific nonsense or, more politely, as a quaint expression of fundamentalist religious faith. 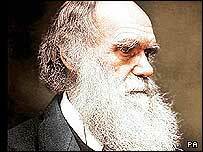 So why is there renewed interest in a theory swept aside by Darwin 150 years ago?